With the increasing severity of environmental problem, the multi-component atmosphere detection has become the research focus. 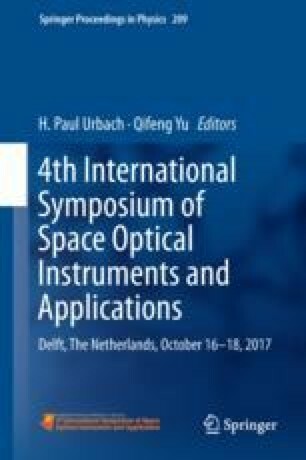 In this paper, the technology based on space-based filament laser is studied in theory, simulation and experiment. When femtosecond laser pulse propagates in air, the natural direction can be restrained, and the filament laser will be generated due to the nonlinear self-focus effect. The diameter of filament laser is about 100 µm, so the laser intensity is about 1014 W/cm2 inside the filaments laser. When the filament laser interacts with the air, the pollutants are dissociated into small fragments, and the molecules and atoms are ionized. The fluorescent fingerprint spectrum will be emitted according to the special chemical composition, which can be applied in detecting the atmospheric components and identifying the pollutants. The analysis of the pollutant concentration can be performed through direct measurements of the characteristic spectral lines. Relying on the possible generation of filaments at dozens of kilometric distances, this technology can be used in remote analysis of hazardous or unreachable spots, which can carry out the real-time vertical dimensional detection in large scale continuously.